Sign-up for monthly updates on Winrock's work around the world. 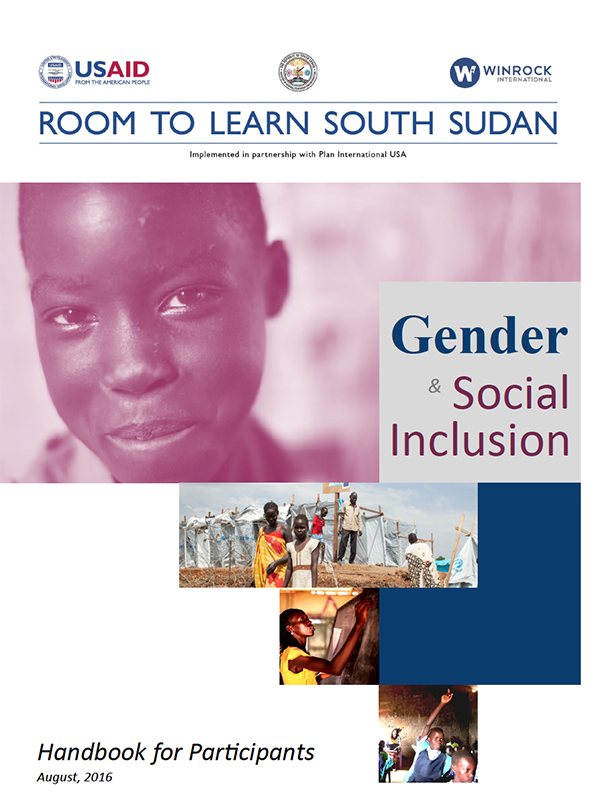 Winrock International developed this Gender and Social Inclusion Handbook for Participants for the Room to Learn program in collaboration with the Ministry of General Education and Instruction (MoGEI) of the Republic of South Sudan and the Ministry of Gender and Social Inclusion. We thank them for their guidance and valuable assistance in the development of this resource. Room to Learn, which aims to expand inclusive education opportunities and promote social cohesion, is made possible by the generous support of the American people through the United States Agency for International Development (USAID). The contents are the responsibility of Winrock International and do not necessarily reflect the views of USAID or the United States Government. Please click "I Agree" to accept these terms and continue using our website.